Chosen by readers like you for Macmillan’s young adult imprint Swoon Reads, A Prom to Remember, from Sandy Hall (author of A Little Something Different), is a funny and cinematic look at the biggest dance of every high schooler’s life. While so many characters can be confusing at times, I love the way Hall intertwines their stories and creates distinct personalities. Even though the POVs focus on Cora, Paisley, Henry, Jacinta, Otis, Lizzie, and Cameron, the secondary characters are just as much a part of the story as the main characters and I enjoyed seeing the friendships overlap. Once I diagramed who each of the seven main POVs were interacting with, I was better able to keep their stories straight, which is why I transferred my diagram over to an online version for others to use. Disclaimer, not all of the relationships are connected as there is a lot of overlap, but I tried to show as many of them as possible. What I love so much about Hall’s books (and why I keep coming back for more) are fluffiness of them. 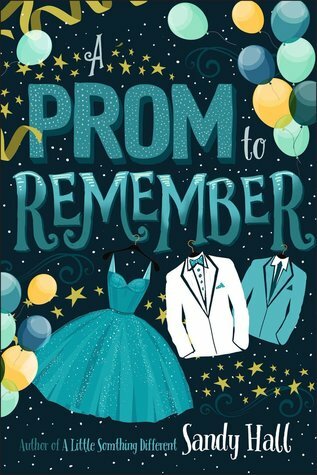 A Prom to Remember is a delight to read and I adored how cute it was. I could not tell you which POV I liked best as it changed each time it switched. The switches happened frequently, so just as I was getting into one storyline, it would switch over to a different character and I would get caught up in their story. With summer coming up, this is the perfect beach read for anyone looking for a fun, contemporary YA filled with friendships and fluffy relationships. Overall, A Prom to Remember is another hit by Sandy Hall! Fans of her previous books will love this fun, end-of-senior-year-prom-filled novel! This novel looks adorable and fun! I’m glad you enjoyed it! Also, great diagram lol! I’ll have to use that whenever I pick this novel up. This sounds like such a good book!! It was really fun and cute read!! I hope you enjoy it! This sounds adorable! It’s great that even with so many POVs, the book is still easy to follow.